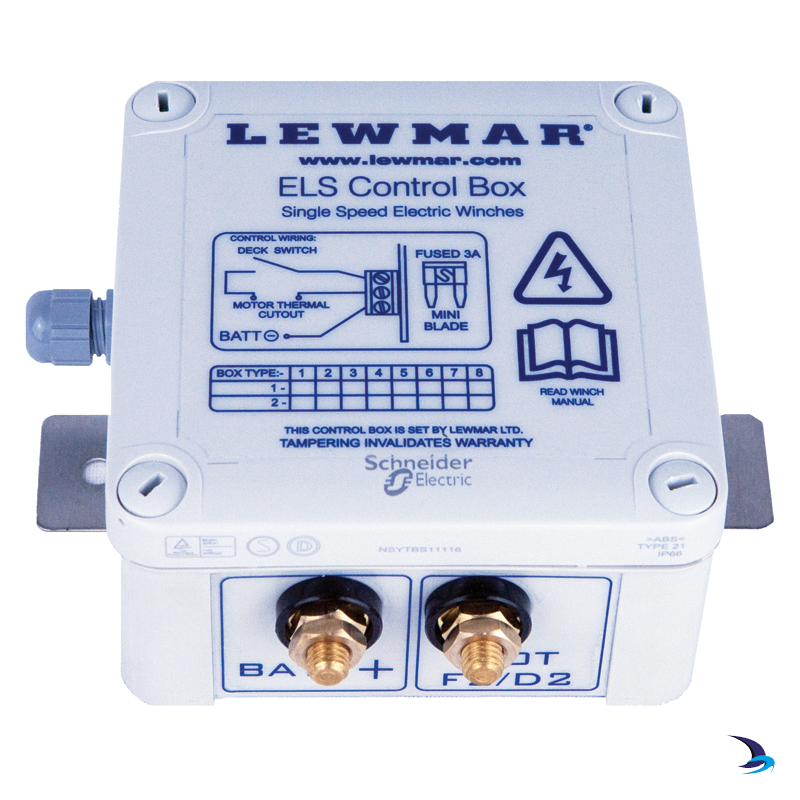 Pioneered by Lewmar, ELS electric winches are controlled by an Overload Protection Control Box, which allows the winch to be operated up to a set current relative to the working load limit of the specific winch. Once this current is exceeded, the winch automatically cuts out prior to the circuit breaker tripping. The ELS is simply reset by releasing the deck switch and the winch can be restarted. ELS is supplied as standard with EVO™ Electric winches sizes 55 and over and Ocean Winches sizes 50 and over, but can also be fitted to smaller sizes as an optional upgrade. Both the E-Series and ELS contactors are equipped with a thermal trip to monitor the motor temperature, which ensures a cut-out if the heat builds up to an unacceptable level.